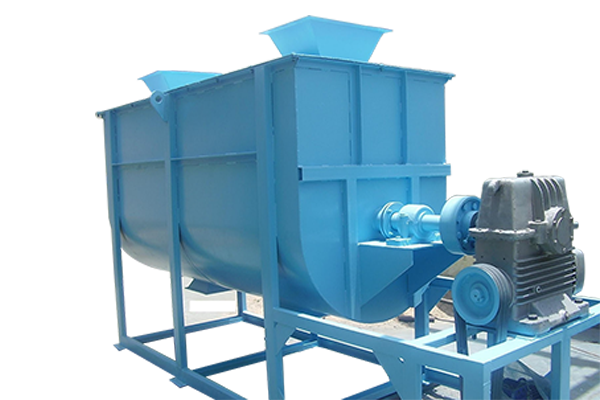 Most ribbon blenders consist of an engine to power operation, a large trough to hold the material and a ribboned agitator that does the mixing. A ribbon blender's agitator typically has metal ribbons, often in a double helical design, surrounding a central bar that extends the length of the trough. The ribbons are angled and balanced in such a way to continually move material within the container. Due to the agitator's unique design, a ribbon blender moves material inside the trough towards the discharge point, thoroughly mixing the contents without any dead spots.